Andrea Schneider, MSW, LCSW is a licensed clinical social worker in private practice in San Dimas, CA. She received her MSW from University of Michigan (the top ranked social work program in the country) and her B.A. in Psychology from UCLA. During her 20+ year career, Andrea has counseled thousands of individuals and families covering a broad range of issues and challenges, developing specialties in maternal wellness, narcissistic abuse recovery, special needs parenting, and grief/loss. 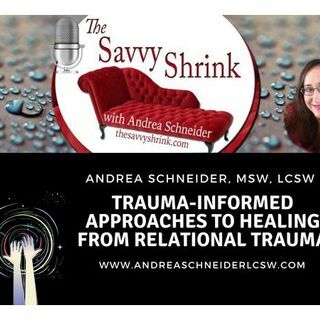 In ... See More this podcast she discusses Trauma-Informed Approaches to Healing from Relational Trauma.